I’m not sure why I got such a kick out of this sign, but I did. After reading it, I just sat in my car and giggled. The irony? This place is my local health food store. 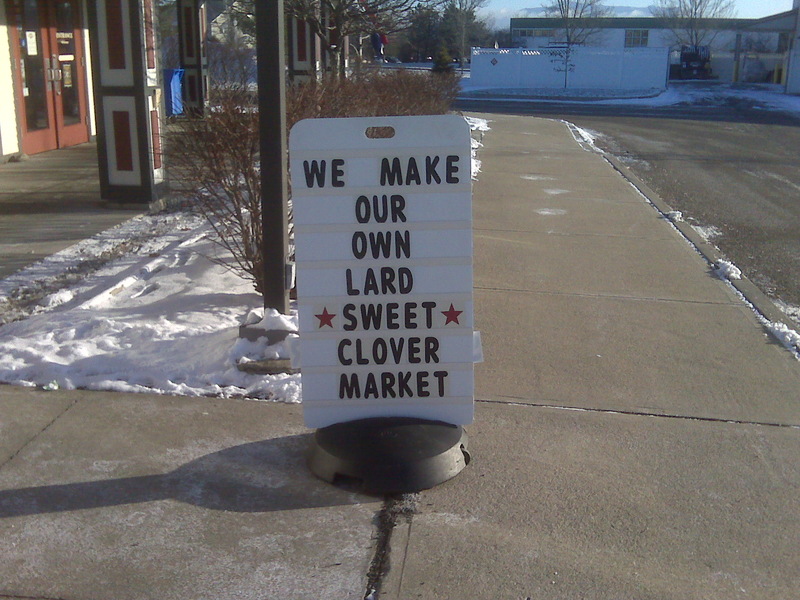 How funny, I also make my own lard. Although for my own internal use durning the long winter. Lisa, I agree with you…everything in moderation. I’m all for eating stuff that is “natural” (meaning made without preservatives and chemicals) but I also won’t turn down a crispy McChicken sandwich now and again, either.